Athletic, affordable and efficient, the Mazda CX-9 is a fan favorite in the three-row crossover segment that promises an elite level of athleticism that will upgrade your day-to-day carpool. 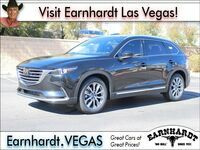 With the arrival of the 2018 Mazda CX-9 in Las Vegas, NV, families on the go will come to appreciate family adventures even more. Armed with an athletic design, a spacious family-friendly interior, a fun-to-drive powertrain and a smorgasbord of next-generation technology, the 2018 Mazda CX-9 checks all the boxes. 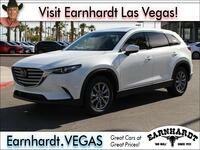 When the 2018 Mazda CX-9 arrives at Earnhardt Mazda Las Vegas, it will be available in four trim levels – Sport, Touring, Grand Touring and Signature – that start at just $32,130. With room for seven passengers and 14.4 cubic feet of cargo space behind the third-row seats, the Mazda CX-9 is perfect for day-to-day errands. New editions upgrade safety with standard Smart City Brake Support, Advanced Blind Spot Monitoring and Rear Cross Traffic Alert. Are you looking for a way to upgrade your family adventures? 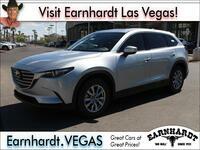 When you get behind the wheel of the 2018 Mazda CX-9 in Las Vegas, NV, you will enjoy world-class performance at every turn. If you are looking for a family-oriented vehicle that performs and handles like a sport-tuned sedan, the Mazda CX-9 fits the bill. 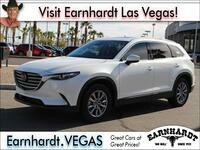 Visit Earnhardt Mazda Las Vegas today to get behind the wheel of a 2018 Mazda CX-9! Under the hood, the 2018 Mazda CX-9 plays host to a turbocharged 2.5-liter SKYACTIV®-G four-cylinder engine that manufactures 250 horsepower and 310 pound-feet of torque with premium fuel. Married to a SKYACTIV®-Drive six-speed automatic transmission, front-wheel drive models will make an impressive 22 mpg in the city and 28 mpg on the highway. When you add i-ACTIV AWD® to the spec sheet, you will enjoy improved performance and still make 20 mpg in the city and 26 mpg on the highway. When properly equipped, the Mazda CX-9 will tow 3,500 pounds. When you slide into the driver's seat of the family-friendly Mazda CX-9, you will enjoy a wealth of standard features and next-generation technology. Stay connected on family road trips with a standard MAZDA CONNECT™ seven-inch touchscreen with a standard rearview camera, Bluetooth capabilities and a six-speaker sound system. 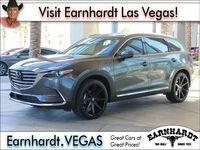 Elite Mazda CX-9 Signature models feature Nappa leather, Rosewood interior, aluminum accents, a power liftgate, push-button start, heated front and rear seats, a heated steering wheel and much more.